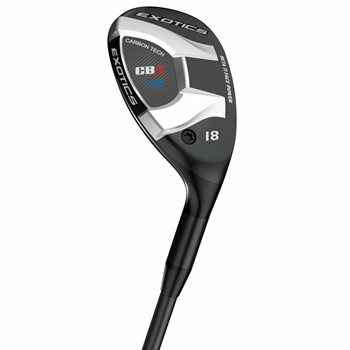 The Exotics CBX 119 hybrids contain a carbon composite sole that allows more weight to be positioned closer to the face. That will deliver more power with a lower spin. Also includes an improved head shape that is shorter from heel to toe. While still maintaining easy-to-launch, easy-landing ball flight characteristics.